Download a free guide and video from one of the largest and most comprehensive MS programs worldwide. It is estimated that more than 2.3 million people worldwide are affected by Multiple Sclerosis (MS). Whether you have been newly diagnosed with multiple sclerosis, have been living with it for years, or care for someone who has, you can be left with a lot of unanswered questions or simply overwhelmed by on-going management of the disorder. 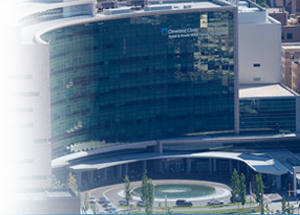 Access our free treatment guide to learn more about how the specialists at the world-renowned Cleveland Clinic Mellen Center for Multiple Sclerosis offer a comprehensive approach to the diagnosis, treatment, and management of this disorder through leading-edge facilities, equipment, and diagnostic tools while also educating the patient population through informational assessments and offering convenient virtual visits for established patients. To schedule a same-day consultation with our MS specialists, please call toll-free at 216.636.5860 (OH), 877.463.2010 (FLA) or 702.483.6000 (NV).